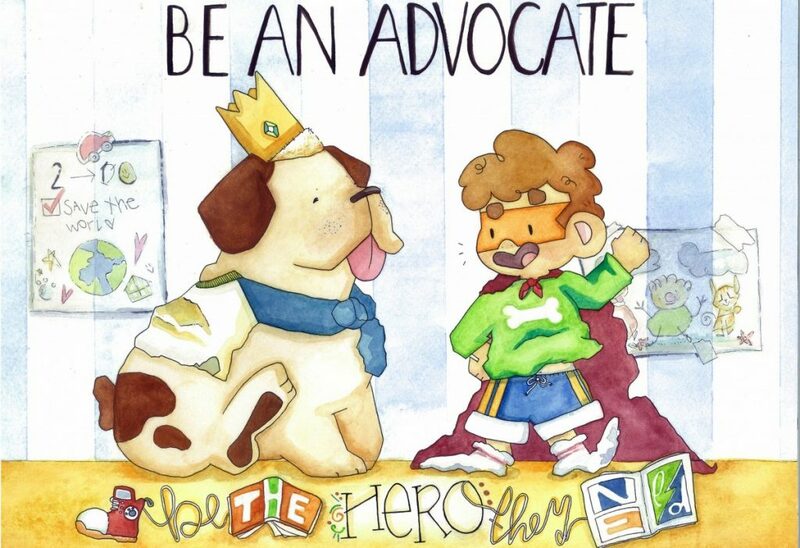 Winners of the 2019 Be Kind to Animals Poster and Story Contest were celebrated at the “A’Cat’Emy Awards” on Sunday, Jan. 27 at the Oregon Humane Society. 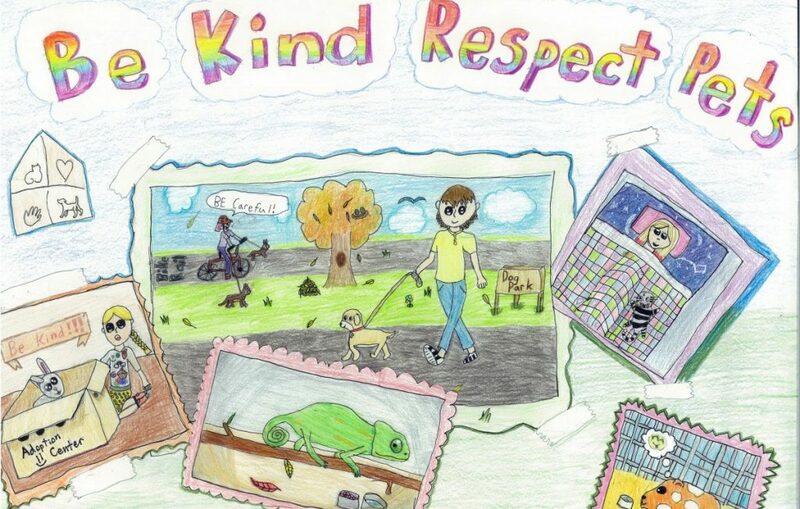 This is the 70th year for the contest that honors young people who use their creative talents to promote kindness and compassion toward animals. During the awards ceremony, students displayed their artwork and read their essays to the audience of parents, teachers and volunteers. 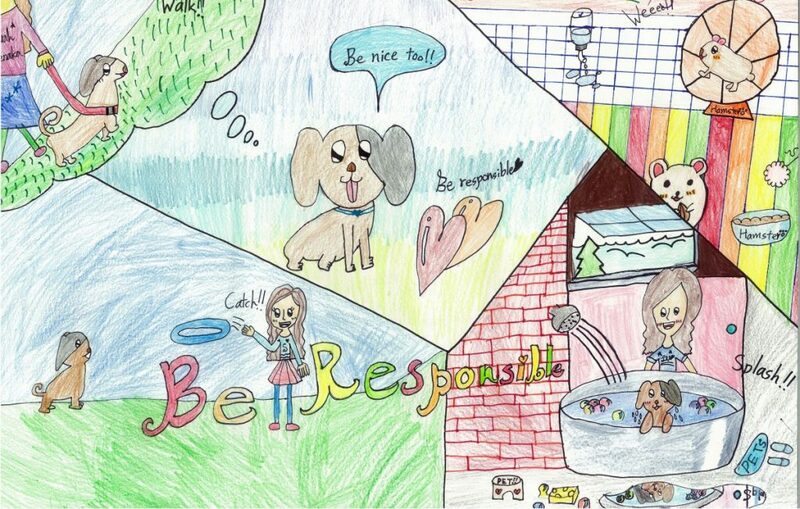 The contest drew close to 2,000 entries this year from schools throughout Oregon and SW Washington. Sarah Uenaka from Sun Century Art Academy won 1st place in the 1-2nd grade category. 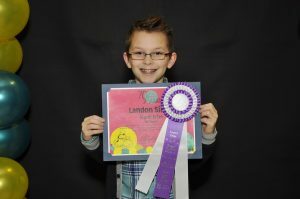 Kovilte Kupciunaite from Sun Century Art Academy won 1st place in the 3-4th grade category. Alaina Tarr from Pacific Crest Middle School won the Grand Prize. 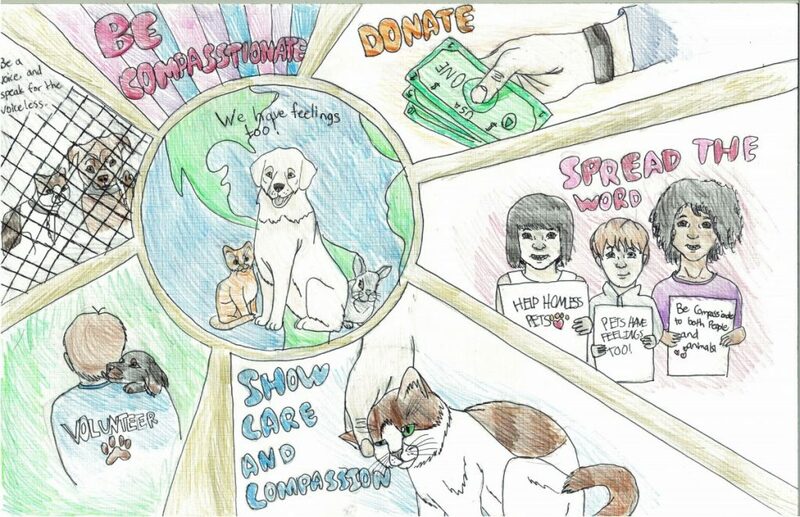 Linda Dong from Jiao Ying Chinese Culture & Art School won 1st place in the 7-8th grade category. 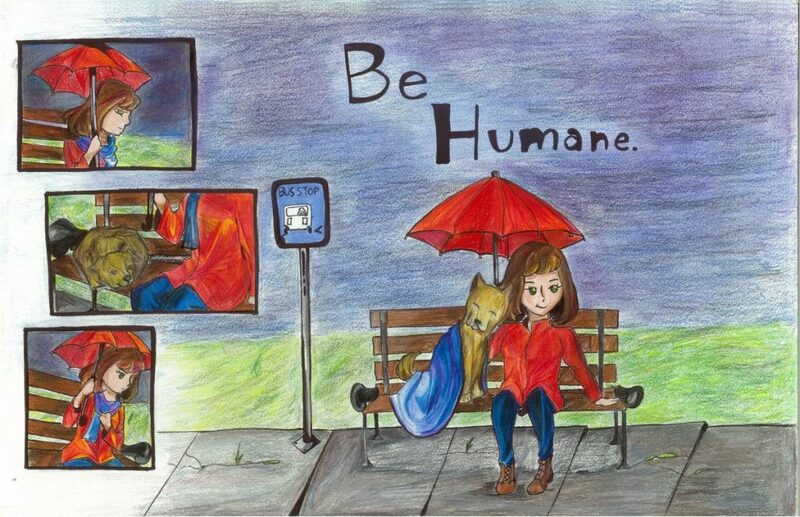 Audrey Zhao from Sun Century Art Academy won 1st place in the 9-12th grade category.